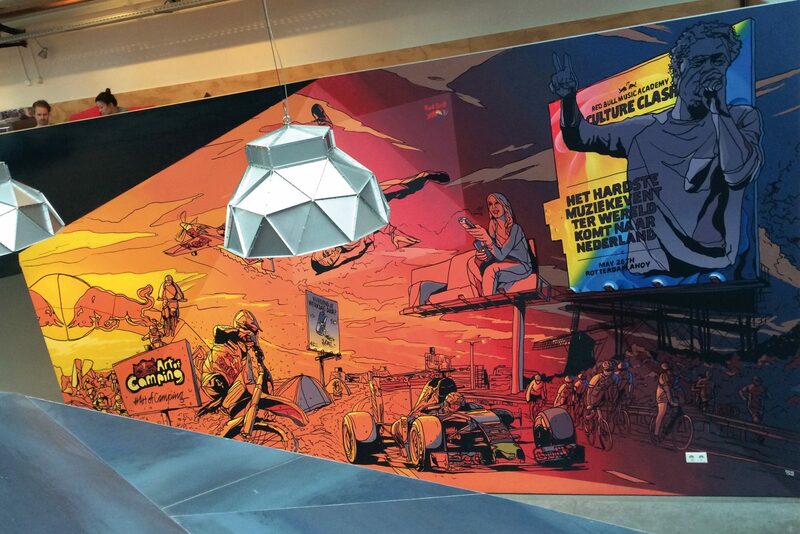 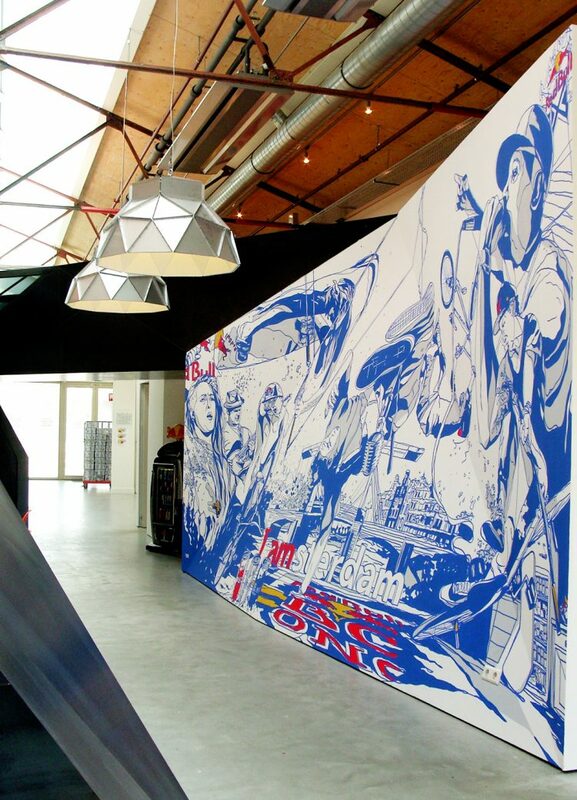 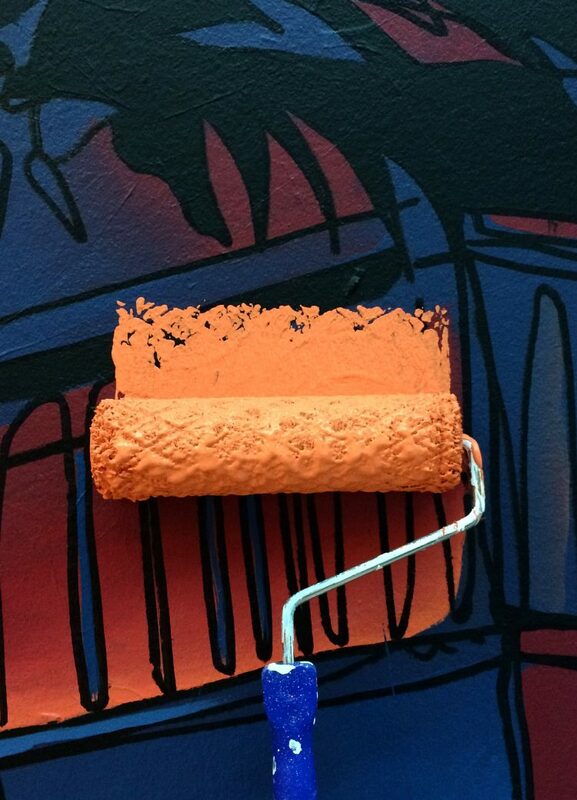 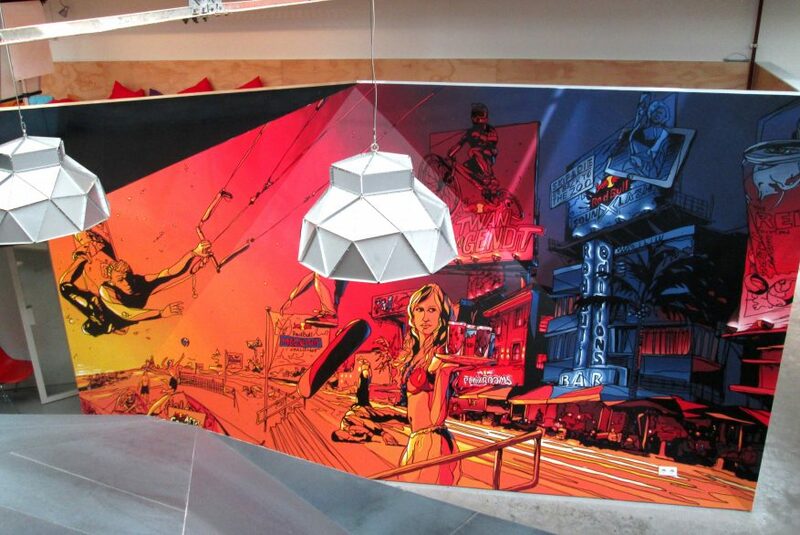 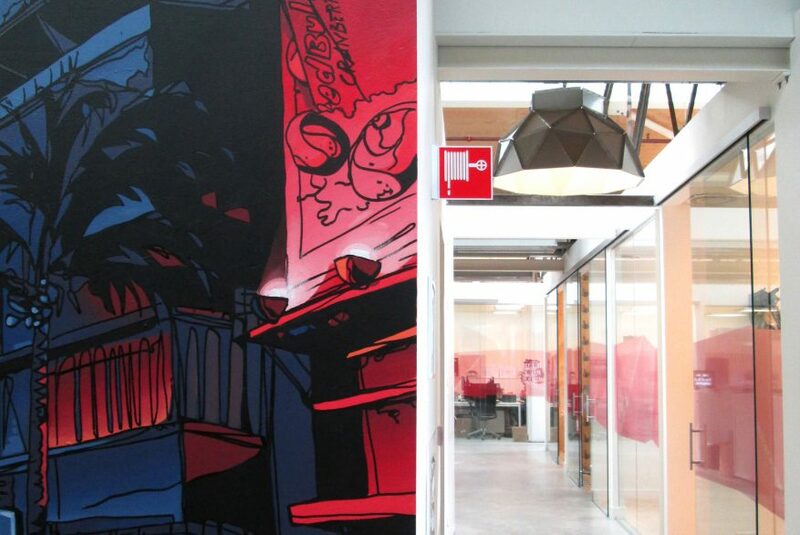 Wallpaintings at the RedBull headquarter in Amsterdam. 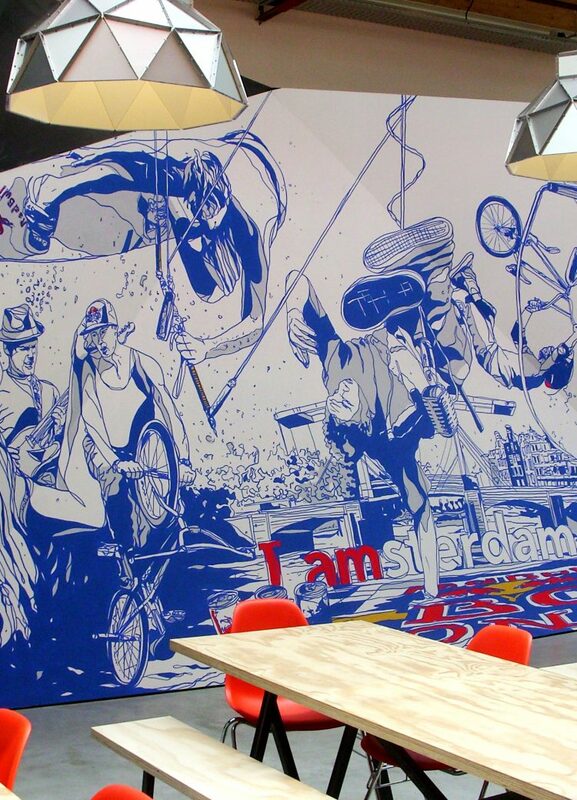 in Amsterdam with a visual of all the big upcoming RedBull events. 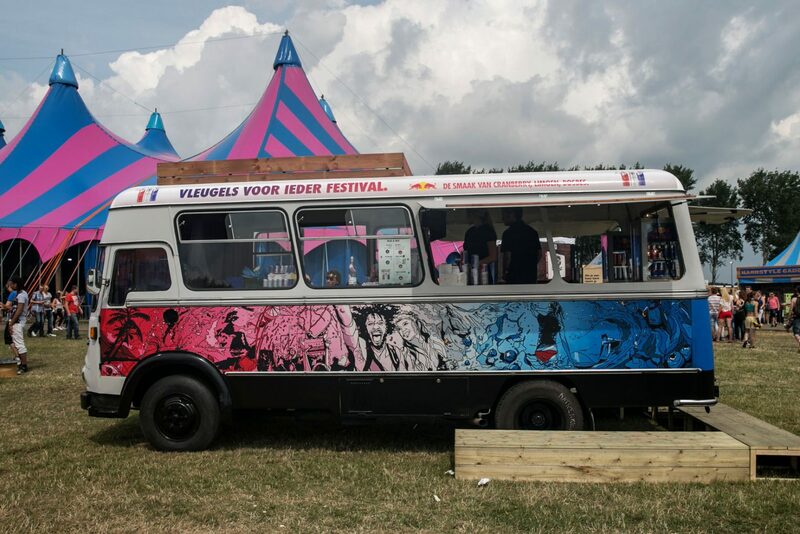 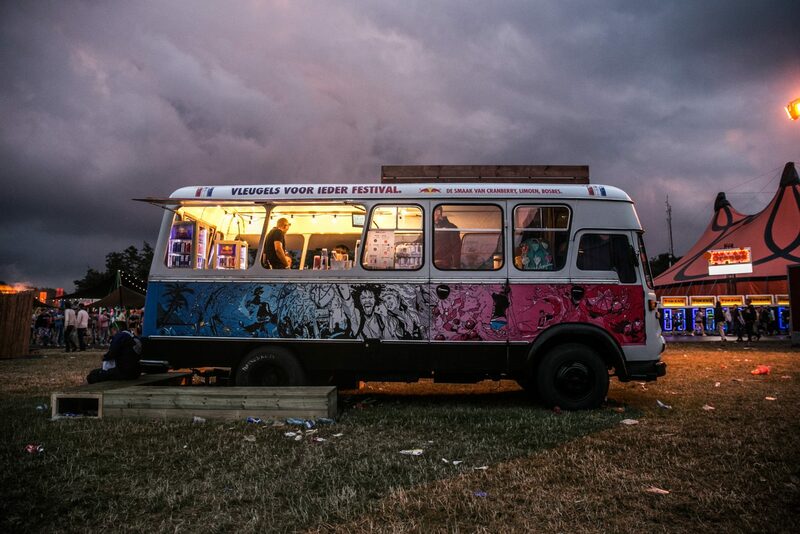 Handpainted Festival van to promote the new Fresh Editions of RedBull at Defqon Festival.